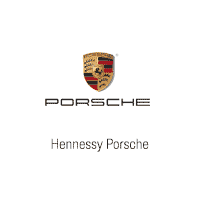 Congratulations on your recent Hennessy Porsche Purchase. Porsche Owners Manuals – This link provides model specific video demonstrations for​ various operations of your Porsche.​ Make sure to add it​ to your favorites. Porsche: Good to Know​ – Get to know your Porsche with these video clips & user guides. Porsche Vehicle Delivery App – For iPad owners, download the free app for an immersive, augmented reality tutorial​. Porsche Club of America – The Porsche Club of America has been dedicated​ to enhancing the Porsche ownership experience. No matter what your interest – social, technical, or​ competitive – PCA has something to offer every ​Porsche owner. Schedule service online via our convenient Appointment Scheduler.- We do our best to place every client in a Porsche Loaner however at times a non-Porsche rental may be used when unforeseen circumstances arise. Kindly request at time of scheduling. Porsche Customer Commitment – Call 1-800-PORSCHE​ for roadside assistance & client​ concerns, or request a Porsche Owner Concierge to help with hard to operate vehicle features. – To retrieve the individual preferred settings stored on the buttons, press and hold the corresponding button until the seat movement and other adjustment operations have been completed.​ The settings stored on the key are retrieved automatically after unlocking the car with this specific key. – To store the current settings on the key each time the vehicle is locked, activate the ‘Auto Memory’ function in the multi-function display under: Vehicle > Settings > Locking > Auto Memory.​ If multiple drivers use the vehicle, assign a button to each driver and save the individual settings on a specific key via the ‘SET’ button on the door panel.